There are a few badminton terms that you should be familiar with. Even if it’s a casual badminton game, these terms are often used among many people. I will only mention the few most important ones to make sure you don’t get bored. the person receiving the serve is called the “receiver”. During a badminton serve, we usually say LONG/SHORT instead of IN/OUT if the shuttle falls out of the service box. If the shuttle falls outside the boundaries AT THE FRONT of the court we call it “short”. If the shuttle falls outside the boundaries BEHIND the court we call it “long”. If the shuttle falls outside the boundaries at the side of the court, we call it ”wide”. If you made a serve and lost the rally, it will be called SERVICE OVER. It’s now your opponent’s turn to make a service for the next rally. Lets are given when the receiver is not ready but the server has already perform the serve. When a ‘let’ is given, no points will be offered to both parties for that particular rally. The umpire calls for the rally to be replayed when a ‘let’ is given. In badminton, 0 points is called “love”. If both sides’ scores are level, we say ALL behind the points. For example, if the score is 2 – 2, we say 2 ALL. The score of the winner of the last rally should always be mentioned first. For example, you won the last rally. Your score is now 2 and your opponent’s score is 5. So the score of the game will be mentioned as 2 – 5. If the score reaches 20-20, the game will be “deuce”. This means that either one side must lead by 2 points to win the game. Next, there are 3 common areas on the badminton court. A rally starts as soon as the server performs the service. The rally ends when the shuttle touches the ground or a player commits a fault. Winner of a rally will be awarded ONE point. A badminton game is referred to the race to 21 points. You’ll need to obtain 21 points to win a game. In some countries, we use the term ‘set’ instead of ‘game’. A badminton match consists of 2 or 3 games/sets. Player wins a match if he win 2 straight games. If both sides won one game each, a third game will be played to determine the winner. A rubber game is the third and deciding game in a badminton match. When both players won one set each, they will have to enter into a 3rd deciding game to determine the winner. This 3rd set is called the rubber or rubber game. Main decider of rules in a tournament. If players are not happy with the umpire, he or she can call for the tournament referee and dispute the matter. Note: A tournament referee is not an umpire. Umpires ensures a matches run smoothly. They also look out for faults during the match. Service judges look out for service faults during a match. Line judges looks straight down the court lines and decide whether shuttles land inside or outside the court. Usually this is how I address the different parts on a badminton racket. Swing motion of your racket. Strokes are NOT shots. You’ll need to perform strokes to hit badminton shots. Usually around the middle of the court. When playing singles, you’ll need to return to your ‘base’ after hitting every shot. Lunging refers to stretching your feet as far apart; usually towards the front to retrieve the shuttle. Simply means completing your swing/stroke after you hit the shuttlecock. Following through with your swing usually produces better quality shots. Hitting the shuttle high up towards your opponent’s baseline. The term ‘lob’ is more commonly used in Malaysia and Singapore. Soft shot hit from your baseline and travels steeply to your opponent’s forecourt. Offensive shot hit from your baseline. Travels down fast and steep towards your opponent’s side. Half Smash: Smashing without full power. Full Smash: Smashing with full power. Baseline Smash: Smash hit from your baseline. Fast and furious shot hit horizontally towards your opponent side. 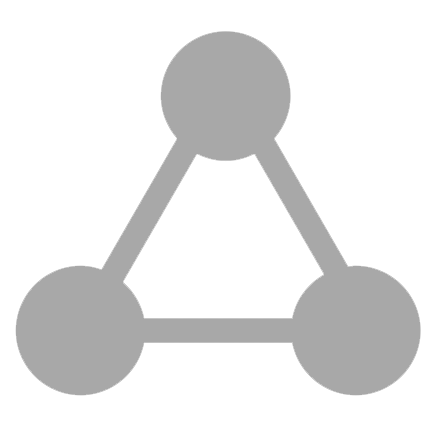 Push is a shot hit horizontally and aims to land around your opponent’s mid-court area. It is similar to the drive, except there is less pace in your shot. This shot is taken at your forecourt. 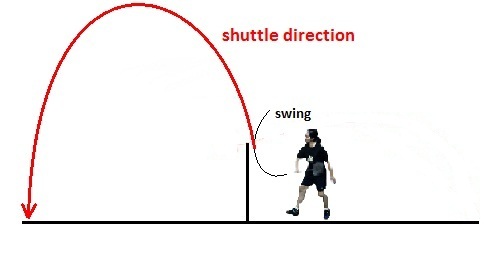 It is called the tumbling/spinning net shot because the shuttle tumbles and spins towards your opponent’s side. Net kills are shots taken from the forecourt. It travel down steeply towards your opponent side. Usually net kills are used to counter weak net shots from your opponent. In most Asian countries, we use ‘Tap’ instead of Net Kill. ‘Brushing’ is another term that refers to Net Kill. However brushing is slightly different. It has the same objective as the Net Kill, but different technique. Brushing is used to kill tight net shots from your opponent. Net Lifts are defensive shots taken from the forecourt. It travels high up towards your opponent’s baseline.